It's been almost five and a half years since Zombie Driver's first public release on Steam. We've talked a lot about the many updates and platform releases that it received since that time, but we never talked about what was happening before the original December 4th 2009 release. Today we have a special video that highlights the most important milestones in Zombie Driver's development from it's initial conception in January 2009 until the Xbox One Zombie Driver Ultimate Edition release. It was hard to compress so much history into a few minutes long video, but we hope you've enjoyed this ride down history lane. Zombie Driver was released on the PC, Xbox One, Xbox 360, PS3, Ouya and a special mobile version was also released on some Android devices. The game was also released in a physical box in 58 countries and so far sold over 600 000 copies on all platforms combined. It has been a huge success for our studio and we are very happy for all the support that we received from our fans. We've been secretly working on our next game for over two years now and we can't wait to announce it to the general public. Stay tuned for more information as we will be revealing our current project later this year. P.S. We just released a free update on the Xbox One that adds new achievements and bumps the maximum Gamerscore to 2000. Zombie Driver Ultimate Edition for XBox One Released! We are proud to present Zombie Driver Ultimate Edition - published through the ID@XBOX program, exclusively on the Xbox One. Ultimate Edition includes all of the downloadable content that was ever created for the game, plus a new pack of car skins that hasn't been released on any other platform. We didn't want to just throw the extra DLC into the package so we've modified the Blood Race campaign to include the additional cars as rewards for winning the tournaments. 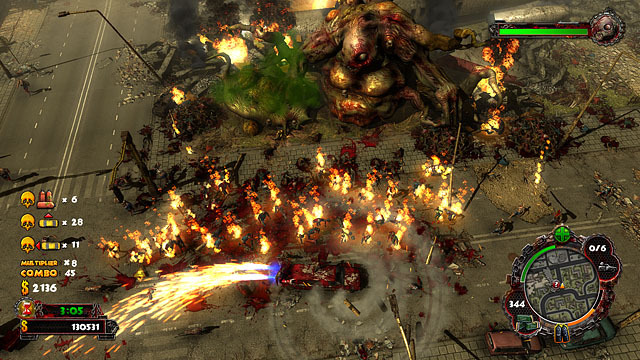 The game now features 31 story missions, 36 Blood Race events, 9 Slaughter arenas and 15 drivable vehicles. We've more than doubled the number of zombies roaming the streets. To even the odds of survival we've also placed a lot more weapons around the city which results in much more dynamic gameplay. You've probably noticed the improved graphics on the above screenhots. We've overhauled scene lighting, added soft ambient occlusion shadows (HBAO) and added a few extra touches like depth fog, environment reflections, new animated objects, increased texture resolution, improved particle animation or physically simulated particles. We also made one more pass on all of the missions to improve their atmosphere and add one more layer of polish. By popular demand we've introduced a new "Retro" camera setting which presents gameplay from an entirely top-down perspective with no camera rotation. This is the best, biggest and most feature rich version of Zombie Driver ever released. We hope you will like it. See you on the leaderboards! Zombie Driver HD disappearing from XBLA, 500 000 copies sold! We're sad to inform that due to the liquidation process of our Japanese XBLA publisher - the Cyberfront Corporation, Zombie Driver HD will be temporarily taken down from sale on XBLA worldwide and PSN in Japan at the end of January. The game will function without any interruption for everyone who has bought it before that date. Zombie Driver HD will continue to be available without interruption on all platforms where EXOR Studios was independently self-publishing the game including: Steam, the PlayStation® Network (in all countries except Japan), Windows Store, OUYA and others. We are already working with Sony in Japan to re-release the game so it should return shortly. The situation on XBLA is somewhat more difficult because due to Microsoft's policies we are not able to self-publish the game on the Xbox 360 even though it has passed all certification stages, requirements, etc. XBLA on the Xbox 360 is the last platform where it's not possible to release a game on our own and from the perspective of a small independent studio, it looks a bit like a remnant of the Cold War in comparison to the other platforms. Thankfully Microsoft is moving forward with the Xbox One and we are already in the ID@XBOX program. We're looking forward to see if we would be allowed to release Zombie Driver on the Xbox One with new improvements for the next generation :) Meanwhile we are already working on finding a new publishing partner for the Xbox 360 and hope to announce the game's re-release on XBLA as soon as possible. That being said we still have a lot of XBLA keys left for Zombie Driver HD and we'll be giving them away on the EXOR Studios Facebook page. Head on over there as we'll be posting them through the next few days until the game disappears from the marketplace and if you like the game, remember to tell your friends that it will be still available for purchase on the remaining platforms. So far Zombie Driver has sold over half a million copies since December 2009, counting all releases and platforms including PC, XBLA, PSN, Google Play, OUYA and boxed versions in 58 countries around the world. It has been a big success for our studio and we thank you very much for buying the game and supporting us! Zombie Driver is still going strong and it allows us to work in peace on our next game. We aren't ready to announce the new new game yet, but we can already say that it's very different from Zombie Driver. We'll keep you informed on the situation as it develops. 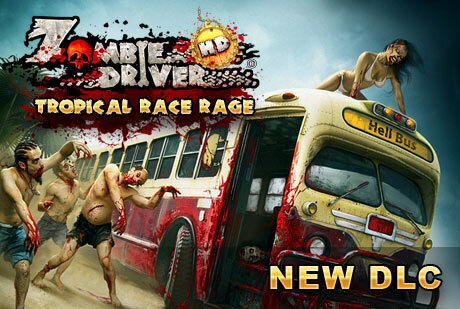 It's time to race in the tropics in the new DLC expansion for Zombie Driver HD called the Tropical Race Rage. The DLC adds a new Tropical Tournament to the game's Blood Race mode. It includes six events on an island resort filled with zombies, ancient ruins and a secret drug cartel plantation. Players can also take advantage of the new six wheel Military Truck available and upgradeable in all game modes as well as extra car paints for the Bus and Sports Car. The Tropical Race Rage DLC is now available on Steam and XBLA for $2.99 and will be coming to the PSN in early October. Zombie Driver HD available on OUYA! We are proud to announce that Zombie Driver HD is now available on the OUYA console for a low price of $4.99. The OUYA release includes the same amount of content as its Xbox360/PS3/PC counterparts and has been customized for the OUYA controller. The game has received full console treatment and can be enjoyed without compromise on the gameplay quality. The new Tegra 4 enhanced features include: real time projected shadows, uniform phong shading with custom per object specular masks, improved water shaders, higher polygon count models (identical to the PC/Console version of the game), higher resolution textures, different day/night conditions, improved blood splat shaders on cars and last but not least - more zombies! The new enhanced features are available as an update to Zombie Driver THD on Google Play. Players who already own Zombie Driver THD are able to simply download the game directly to their SHIELD device. Game Update and Apocalypse Pack DLC released on XBLA! The long awaited game update and Apocalypse Pack DLC for Zombie Driver HD has finally arrived on XBLA. The new update fixes screen tearing issues that some people have been experiencing and improves frame rate which makes squashing zombies super smooth. The patch also fixes a number of smaller issues. 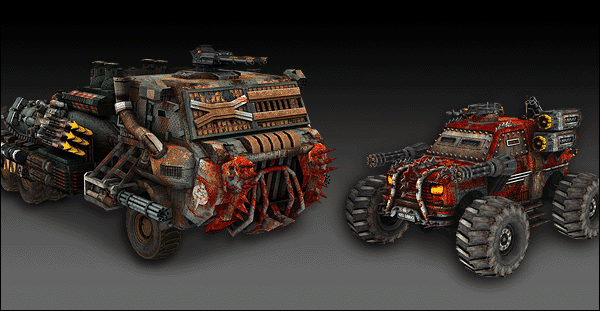 The Apocalypse Pack includes two awesome cars available in all game modes, plus an extra Slaughter Mode map - the Military Base. 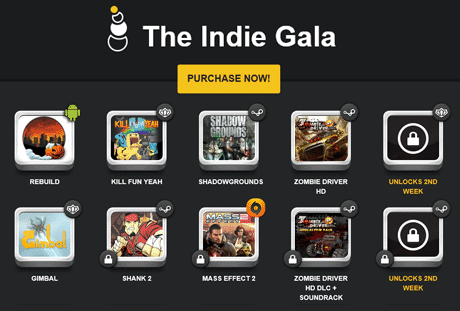 Zombie Driver HD in the Indie Gala Bundle! We would like to announce that the Steam version of Zombie Driver HD has been included in the Indie Gala Bundle along with titles like Mass Effect 2, Shank 2, Shadowgrounds and others. If you still haven't got a copy of the game now it's the time to get it in the "Pay What You Want" model. Besides that, part of your money goes to support a noble cause and if you reach the minimum price you also get the latest DLC and Soundtrack from the game! This is a limited time offer so be sure not to miss out on this. Hey everyone. 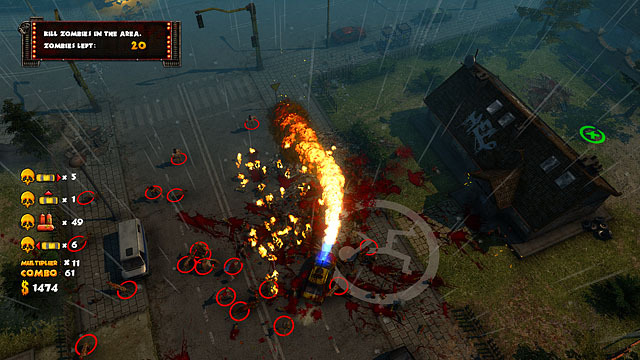 As promised earlier we are releasing a fresh pack of content for Zombie Driver HD this week. It is called the Apocalypse Pack and it includes two awesome cars available in all game modes, plus an extra Slaughter Mode map - the Military Base. Both of the new cars are guest appearances from our earlier project - D.I.P.R.I.P., which was a multi player car combat game released in 2008 as a free Source Engine mod. The first of the two is called the "Chaos 126p" and it's a small and nimble monster truck (as far as monster trucks can be small, anyway). It's very fast and handles incredibly well in tight corners. The second one is a huge custom made truck with jet engine exhausts called the "Auroch". It can ram through anything on it's path, has lot's of nitro and can carry up to 8 passengers in the Story Mode. The Military Base Slaughter mode map is one of the larger levels and as the name implies it's a based in an abandoned army depot. If Slaughter Mode was about ice skating I could say that it's the perfect place for making beautiful loops in harmony with soul touching music, but fortunately it's not so you can exchange loops for insanely long combos and soul touching music for the sound of metal ploughing through hundreds of zombies. The DLC is already available on Steam and PlayStation 3. It will be coming also for the Xbox 360 at a later date, but along with a patch which fixes screen tearing that some of you have been noticing.